In Episode Four, the sword runs from a battle! This season of JourneyQuest is made possible by the support and contributions of all of our fans. You people are amazing! Visit fansupported.net to show your support for JourneyQuest and other great Dead Gentlemen and Zombie Orpheus projects. 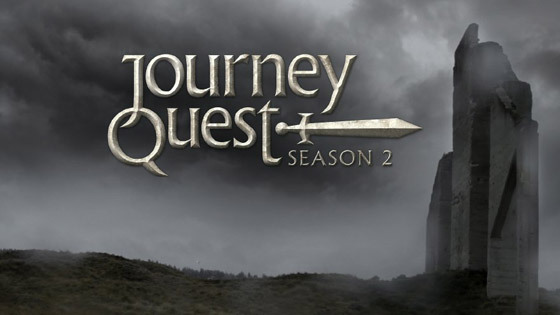 No Studio, No Network, No Cancellation: JourneyQuest is creator distributed and fan supported! I gotta say, guys – I’m just floored by the layers this story has taken. Started out as a simple ‘dungeon crawl’ and you guys mushroomed this into something utterly intriguing. Love the nods to the foibles of gaming life – orcs are pretty funny when you think of it – and man are your actors good. Seriously – they’re good! I will always support your work, way to go!